was the venue for the Black Bream. Friday 26th January 2018: Dublin angler Ian Mulligan has broken the Golden Grey Mullet record, which was established as recently as 2014. The new record, weighing 1.29 kg, was caught at Rosscarbery, Co. Cork, on the 4th of July 2017. 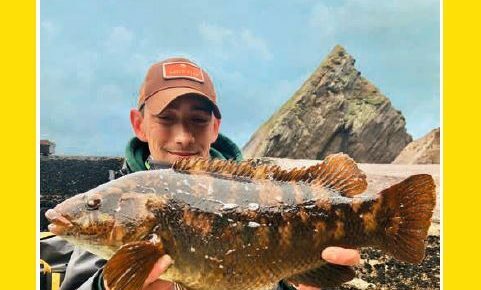 The Irish Specimen Fish Committee recently ratified this new Irish record fish. 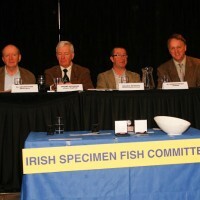 The Irish Specimen Fish Committee (ISFC) held its Specimen Fish Awards Day on Saturday 16th February at Bewleys Airport Hotel, Swords, Co, Dublin. Successful anglers from all over Ireland who caught specimen fish in lakes, rivers or in the sea in 2012 were congratulated by Fergus O’Dowd TD, Minister of State for Natural Resources, on their excellent achievements. 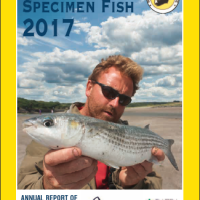 2012 was a record year with a total of 640 specimen fish being ratified.